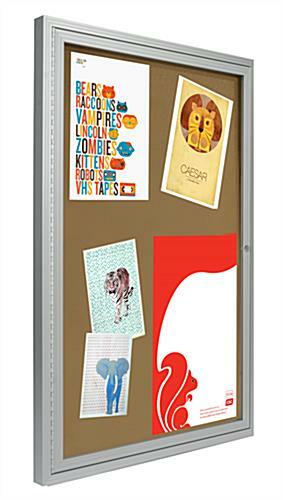 24" x 36' Tackboard with silver aluminum frame. 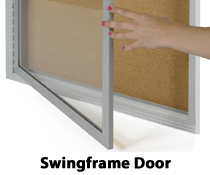 Single acrylic swingframe door for quick updates and changes. 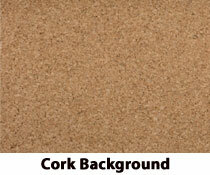 Large cork interior for posting messages, memos, and posters. Mounts to the wall with included hardware. 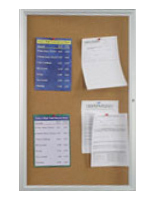 These cork bulletin boards are ideal purchases for posting memos, schedules, directories, and signs. 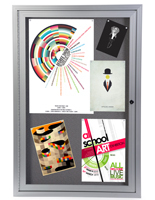 A message display communicates with guests and visitors of an establishment. 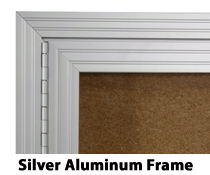 All cork bulletin boards, with aluminum frames, are long lasting and durable. 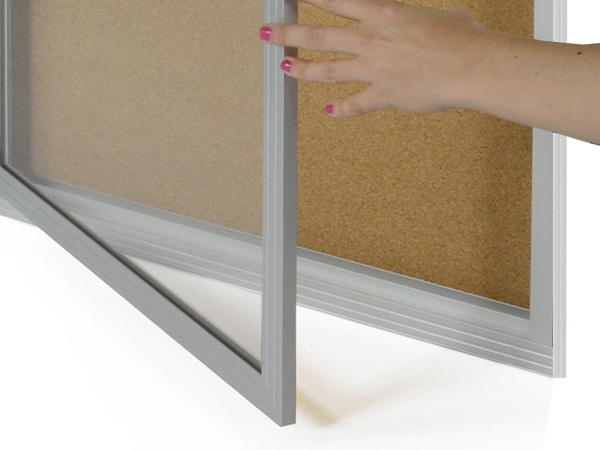 This message display allows users to tack material over and over again to the corkboard surface. 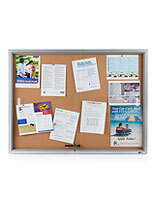 Cork bulletin boards, that are school purchases, can also be used in offices, hospitals, waiting rooms, and lobbies. 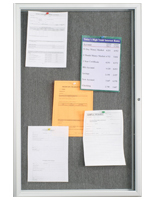 Each corkboard is designed with swing frame doors to allow users to change out information quickly. 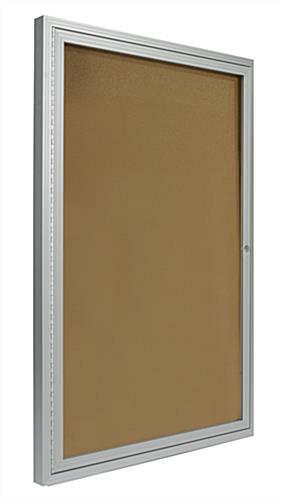 These cork bulletin boards, for message displays, are constructed with a lock. 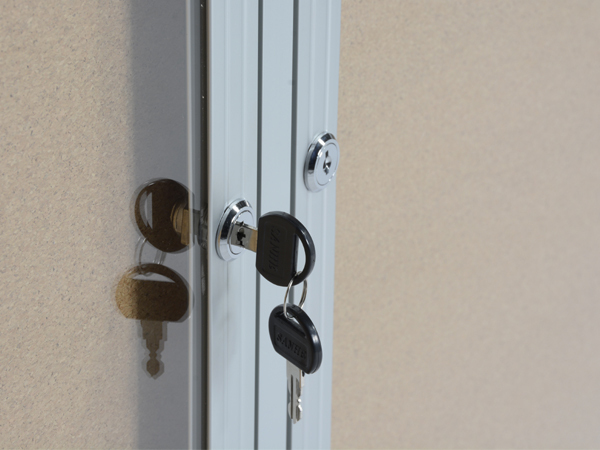 The tackboard keeps materials safe inside with the lock and key. 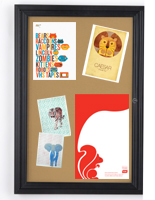 All cork bulletin boards, that are swingframe corkboards, have a re-tackable backing. 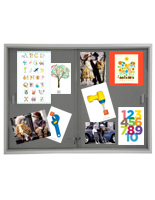 This enclosed unit is surrounded by a silver aluminum frame. 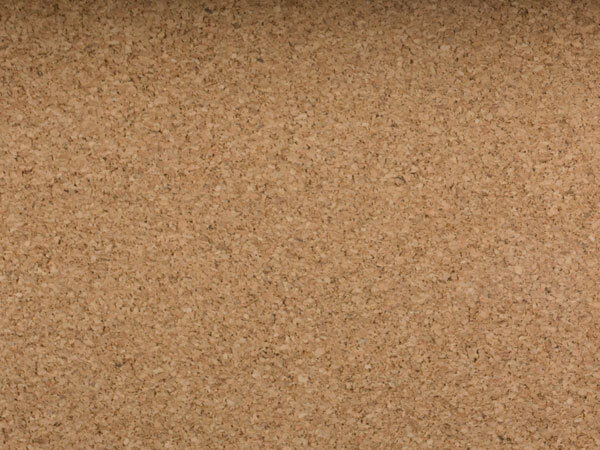 The decorative frame and natural color interior of these cork bulletin boards, also known as message displays, will complement a range of environments. 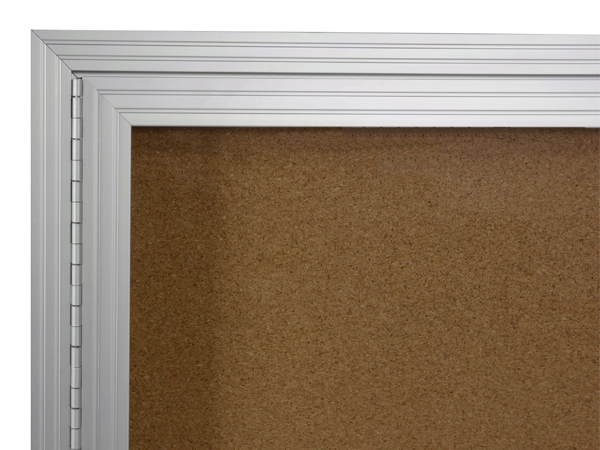 The slim profile and swingframe doors make this corkboard both functional and attractive. 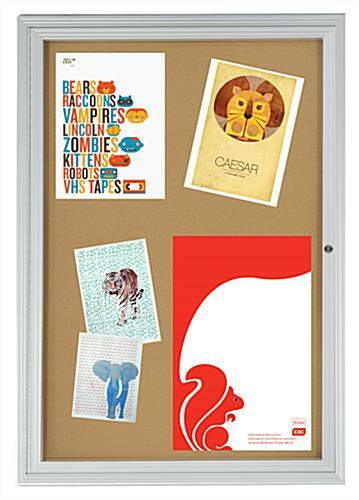 These cork bulletin boards, that are acrylic, mount directly to the wall. 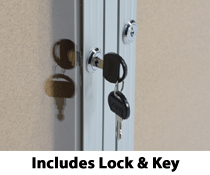 This tack unit is especially beneficial when mounted in a high traffic area. 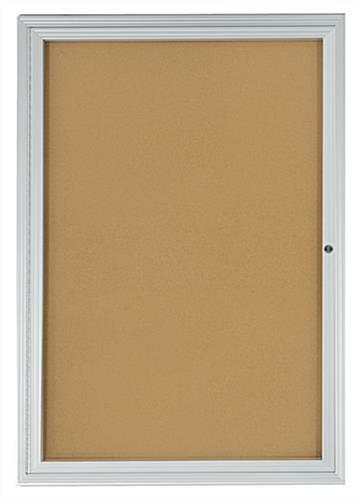 All wall units, cork bulletin boards are affordable purchases for an office, school, or waiting room. This item is a good size and serves the purpose for displaying notices in the lobby of my building well. Thank you so much, Yitta! 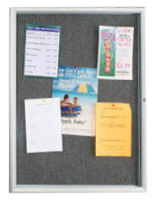 We're happy to hear that this cork board works well to display notices in your lobby. Please let us know if there's anything you feel we could improve — we always appreciate our customers' feedback. The product is outstanding, quality is perfect. ease of installation and use is perfect. The price is so low for such a high quality product. We originally ordered 2 and just ordered 3 more. Thank you so much for your continued business with us and for leaving such an awesome review, Jill! We're thrilled that the product worked so well for you! I purchased this for posting flyers and menus for our volunteer center. These items used to just be stuck all over the volunteer coordinator's window and looked very messy, left tape residue on the glass, and prevented the ability to see through the window! Now, everything is neatly displayed and out of the way. It was easy to hang and fit perfectly in the spot we chose. Thank you for sharing, Lisa! We love hearing how our products helped. It's amazing the impact this can have on a space. We would love to see pictures if you want to share any here. 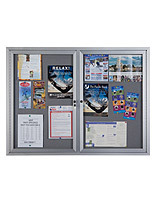 Great product sturdy built fits our needs and more great price by around $80.00 . I would tell a friend .